whatsapp How to forward messages in Whatsapp? 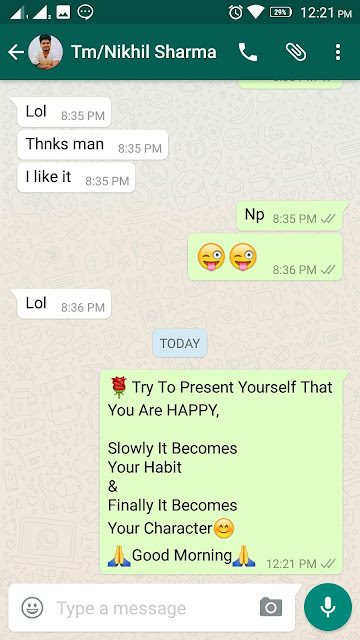 Today I would be teaching you how to forward Individual messages in Whatsapp to other contacts or other groups. This was a new additional feature introduced in the last few updates. Initially we used to have a broadcast list where you could send a message to multiple contacts. Well that feature is still intact but this forwarding option allows you to forward a message to a group or any contact. 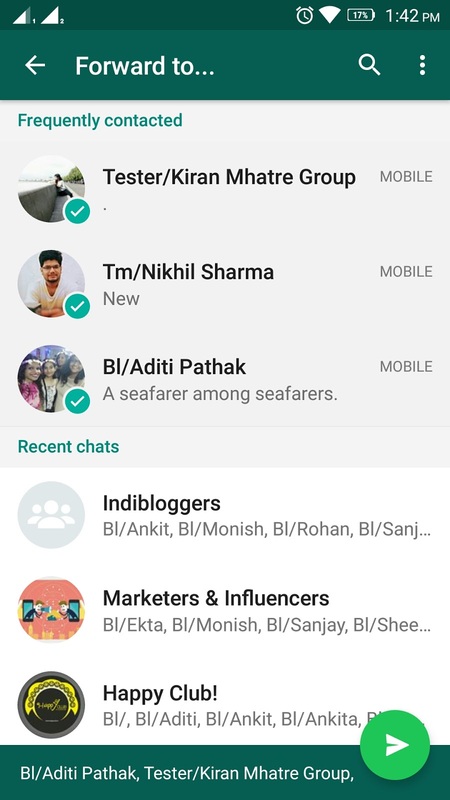 It also allows you to send a particular or multiple messages to multiple contacts or multiple groups or broadcast lists.This indeed is a good feature. So lets see how we can do this. 1. Select a message or a group of message from a contact chat screen or any group where that needs to be forwarded to. 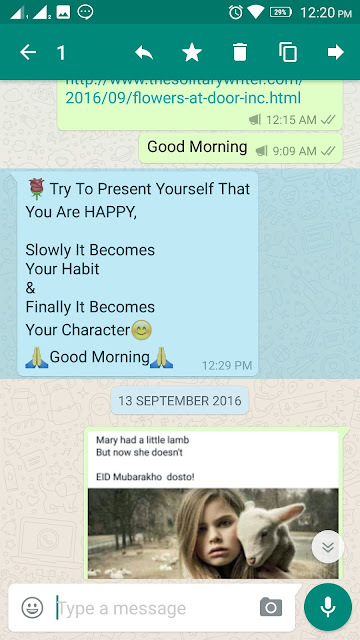 This can be done by performing a long press on the messages. 2. On doing this , you can see a new right arrow on the top icon bar. That is used for forwarding the messages. Click on that arrow. 3. In the next step, you will see the Forward to.. screen where you can see the contact list and the groups where you have interacted. 4. Select a particular contact or multiple contacts to whom you want to send the message. Similarly this can be done for forwarding message to single or multiple groups. You could also select broadcast lists in this case. 5. 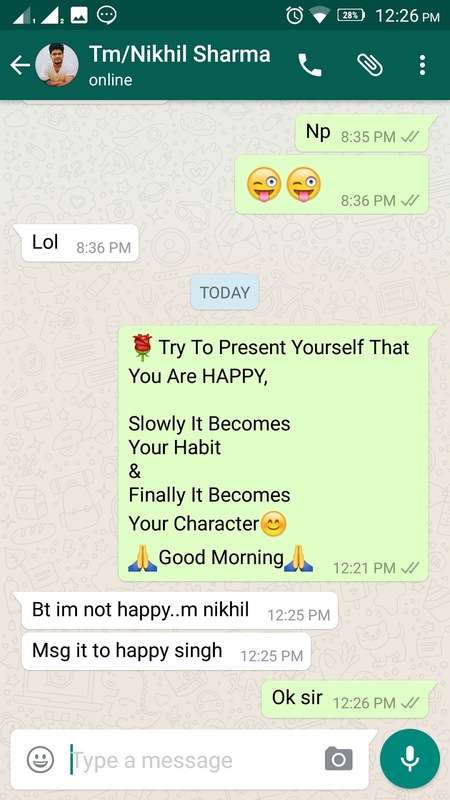 Click on Send icon and the message would be forwarded. 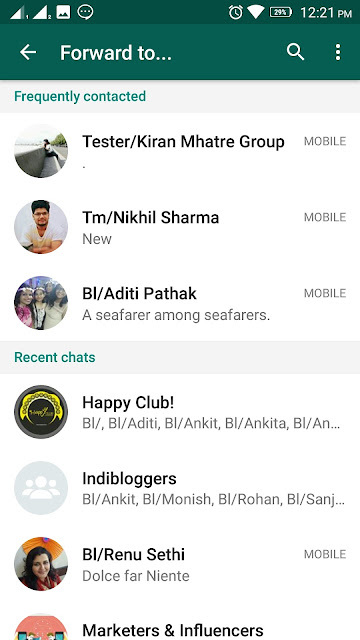 This is how we forward messages to multiple contacts or groups or broadcast lists in Whatsapp. Next time we will meet again with some other how-to stuffs. Till then take care and be in the best of your behavior.